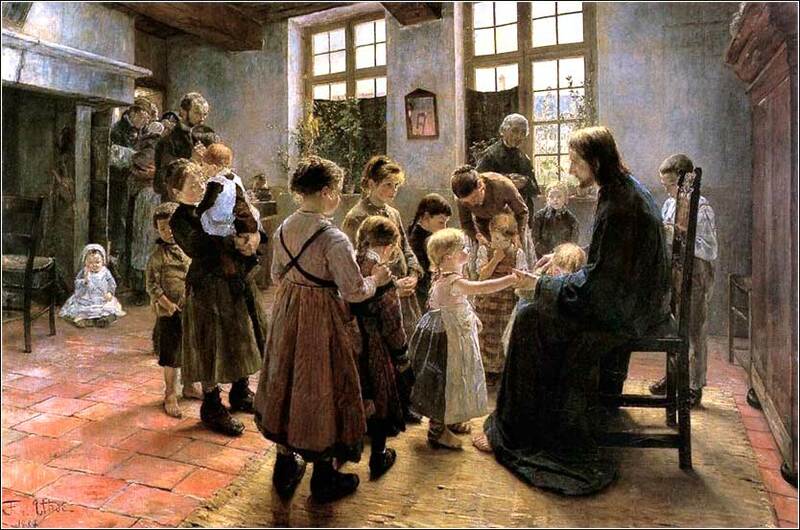 Suffer the Little Children to Come Unto Me by Fritz von Uhde ca. 1884. Jessie Dixon looks forward to a better time, in one of his great compositions. Oh God Almighty, send me Your light and truth, to keep this day and all the days of my life. And may Your mighty hand protect me, and all my brothers and sisters who have joined me in prayer this day, blessing our homes and our lives. Humility is the foundation of all the other virtues hence, in the soul in which this virtue does not exist, there cannot be any other virtue except in mere appearance. With the Transfiguration, the story of Jesus turns a corner; He is headed for home, moving now towards the cross and his ultimate glorification. We have begun Act III of a four-act drama. He will do a considerable amount of teaching, still, but we see a subtle difference. Instead of shocking generalizations, the teachings become longer and more specific about human conduct. In Chapter 18, specifically, He deals with seven different areas of personal relationships. And Item Number One on the list is humility. 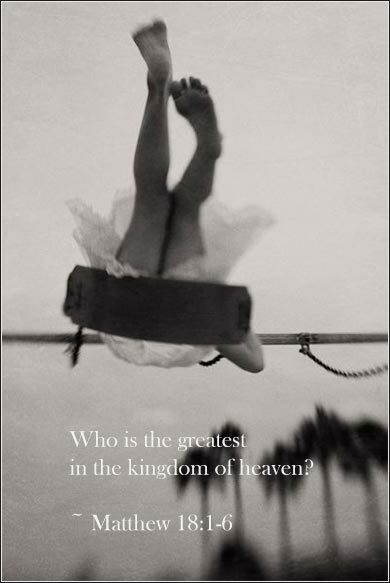 He tells the disciples not only that the humblest will be the greatest in the kingdom of heaven, but also, that unless they have such humility, they will not enter the kingdom of heaven at all! Many of Christ's teachings are contrary to human nature — for our nature is to fall into sin — and none of them moreso than humility. By nature, we look not to the servant, but to the leader. We spend our lives, also, trying to become the leader. We want the respect of other people. We want power, we want money, we want to be the one who calls the shots. Human beings, like other advanced animal species, instinctively create a pecking order. The powerful humility of Christ and the early Christians is a clarion call to each of us, to hold up beside the petty pridefulness of our everyday life. Christ uses a child as a metaphor for humility, and the greatest humility a child has is his openness to being taught, for the pride of ideas is the last and most destructive element of pride we develop.